Photographic Story. 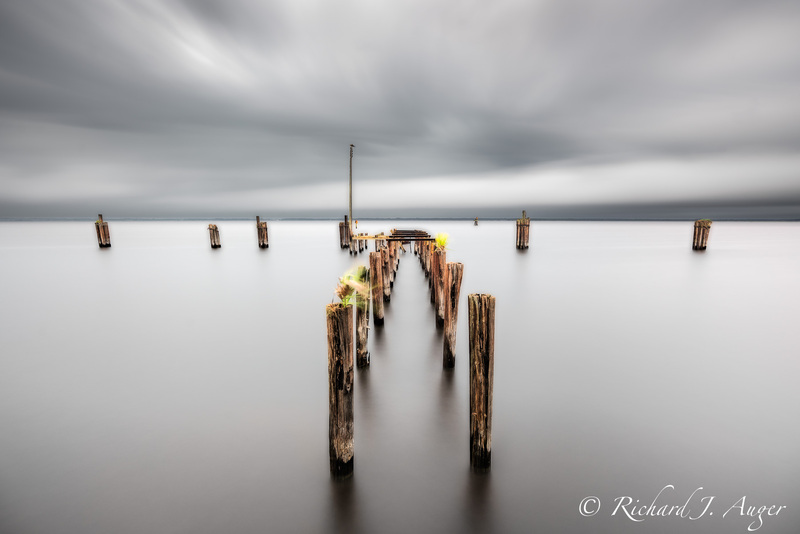 Just before a major hurricane arrived, I had been out photographing docks along the St Johns River. As the days became stormier, the clouds were moving at what looked like a speed of 30 knots. Combined with a 10 minute exposure, the wave and cloud movement blurred to create this abstract photograph. These pilings are remnants of Florida’s 1800s steamship age, when the 310 mile long St. Johns River facilitated commerce and exploration of Florida’s vast, uncharted frontier.